Maddix Park | Tixier Wins the Title! Tixier of the Red Bull KTM Factory team grabbed the holeshot, but then made a mistake over a jump and was landed on by Husqvarna Factory rider Alexandr Tonkov. Tixier had to regroup after sitting and waiting while Tonkov pulled his arm out of the back wheel of Tixiers KTM, then the Frenchman put on a masterclass as he fought past Jeffrey Herlings, who held 14th place and moved through the pack. Herlings followed for sometime, and it looked like the Dutchman might be able to do enough to win his third MX2 title. However as Tixier moved forward Herlings was a little slower making his way through the field, finally getting passed by a couple of riders in the dying stages. At races end it was Tixier in third and Herlings in 10th. The title went to the Frenchman, but Herlings should also be commended for his amazing strength throughout the weekend. 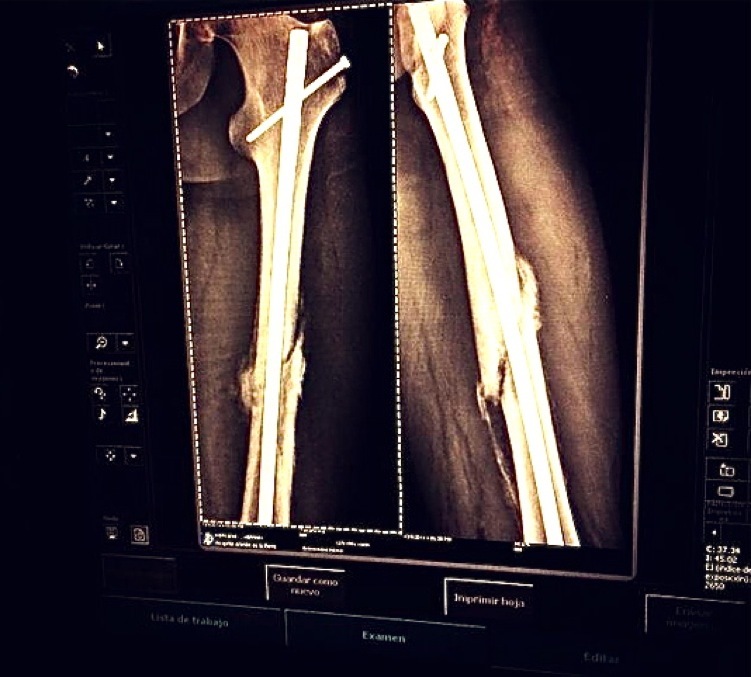 This is Jeffrey Herlings’ femur on Saturday night before the race. What doctor released him to race with a break that isn’t even close to being closed?